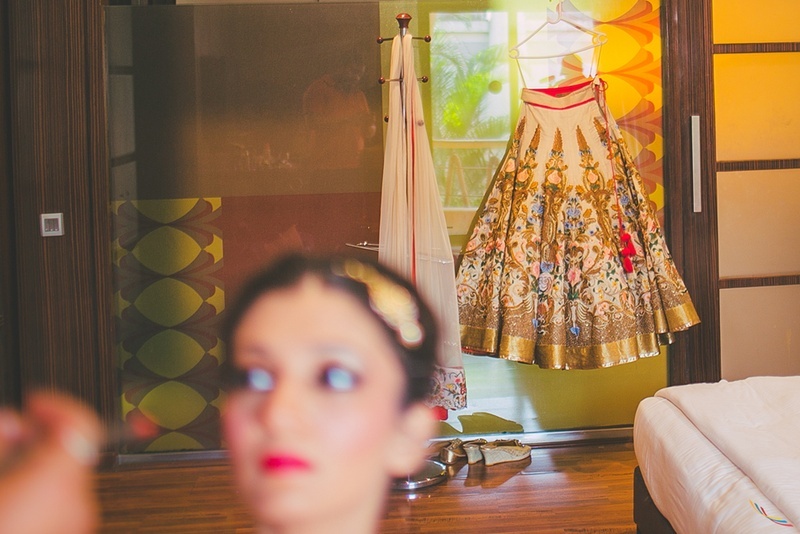 A stunning contemporary-chic wedding held at The Corinthians Resort and Club, Pune is giving is all the wedding goals! 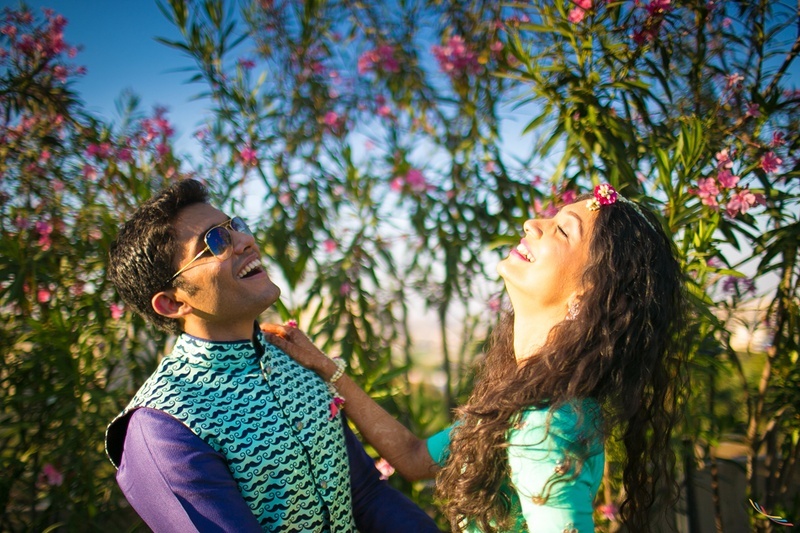 Komal and Ronak had a three day celebration filled with excellent décor details, magnificent outfits and a whole lotta love. 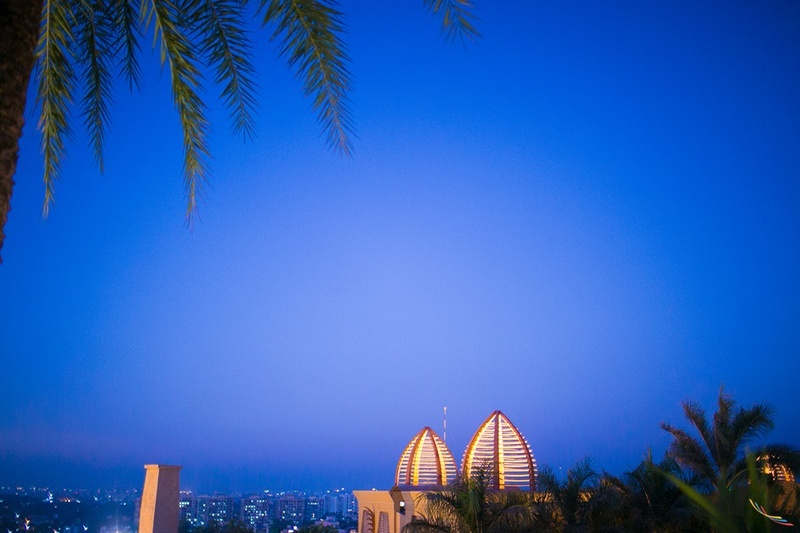 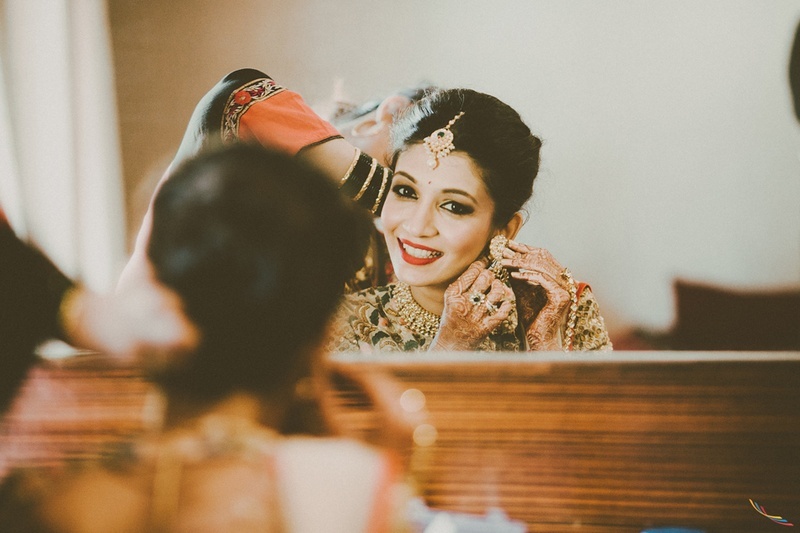 The Corinthians Resort and Club, Pune played perfect host to their modern styled wedding still not forgetting the traditional elements that make up a wedding. 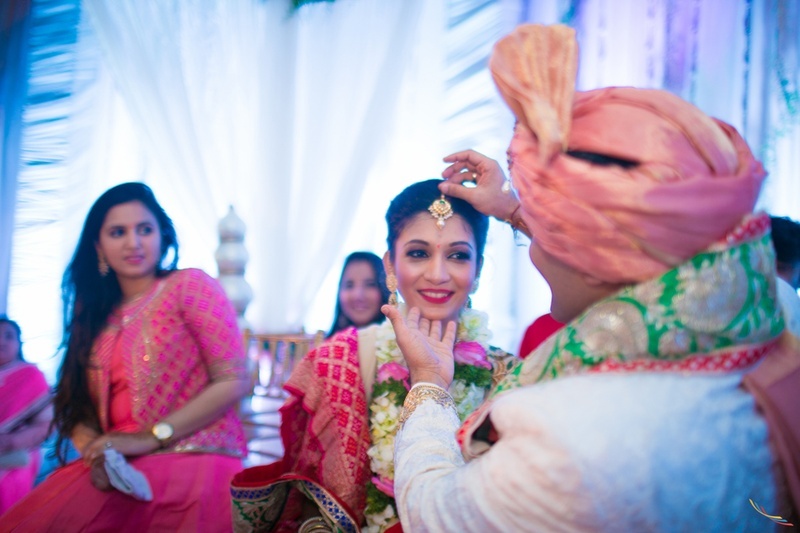 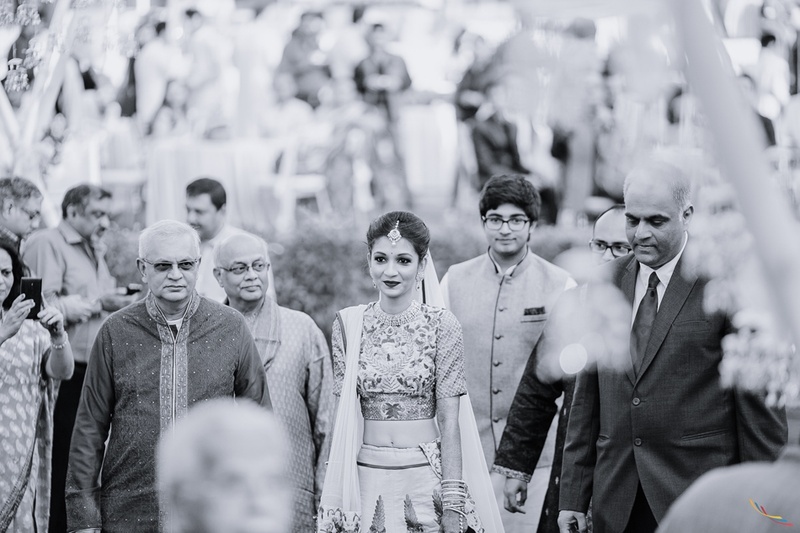 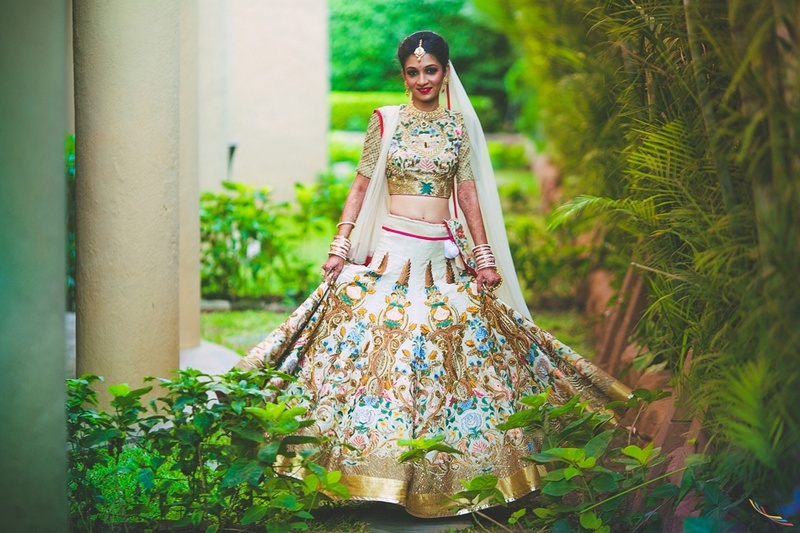 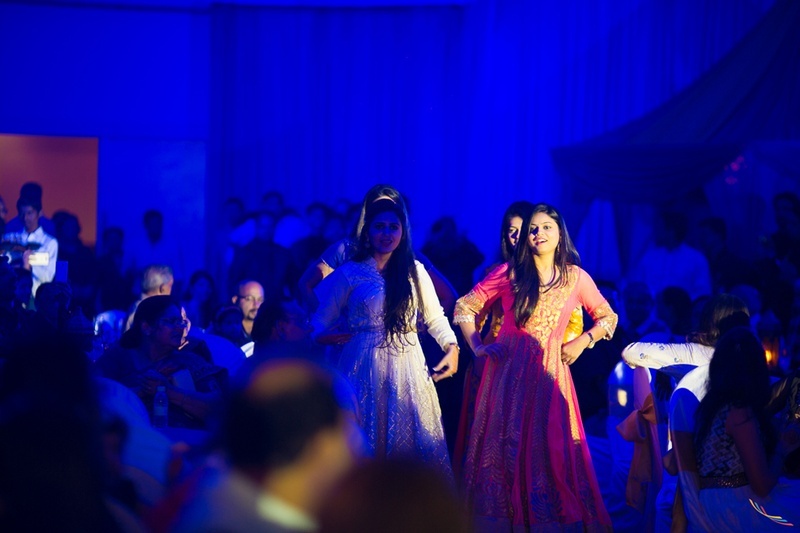 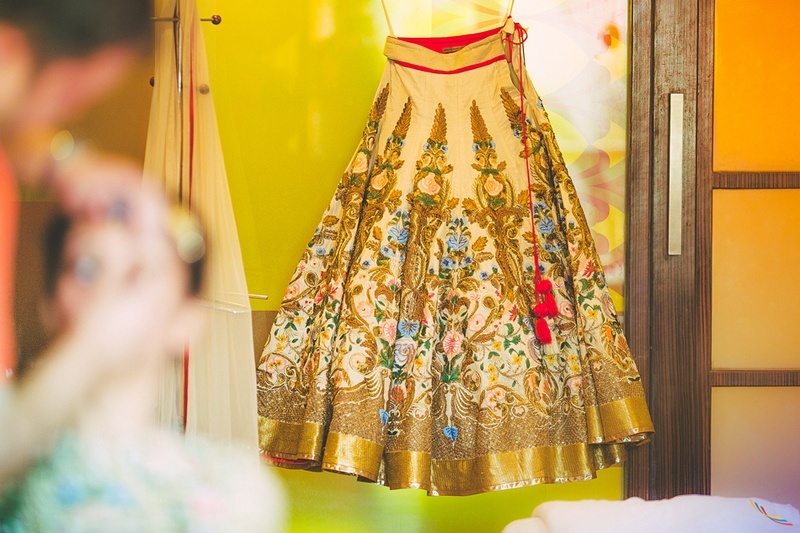 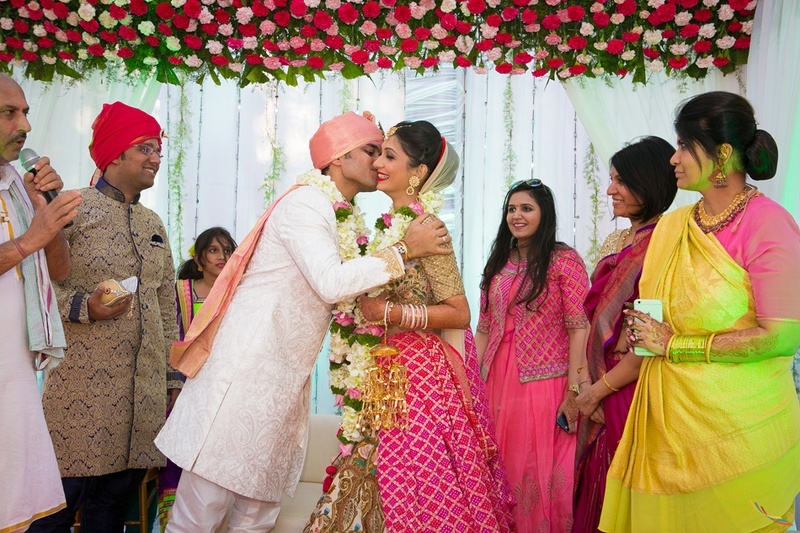 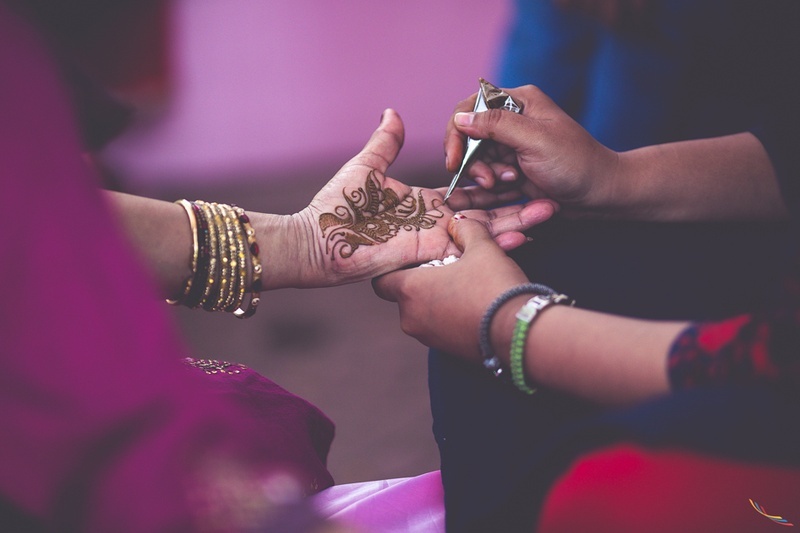 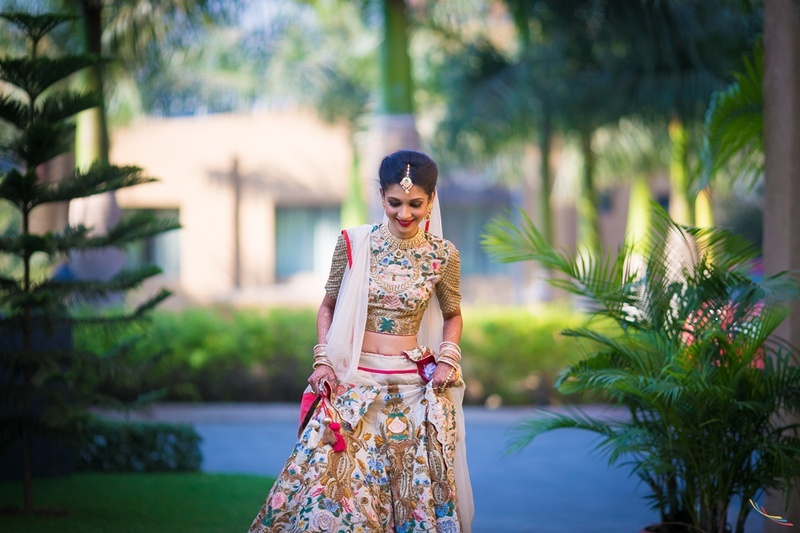 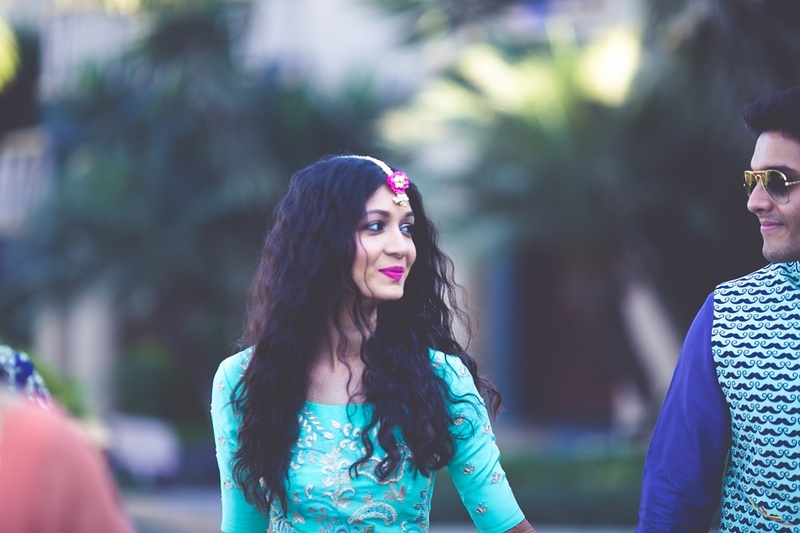 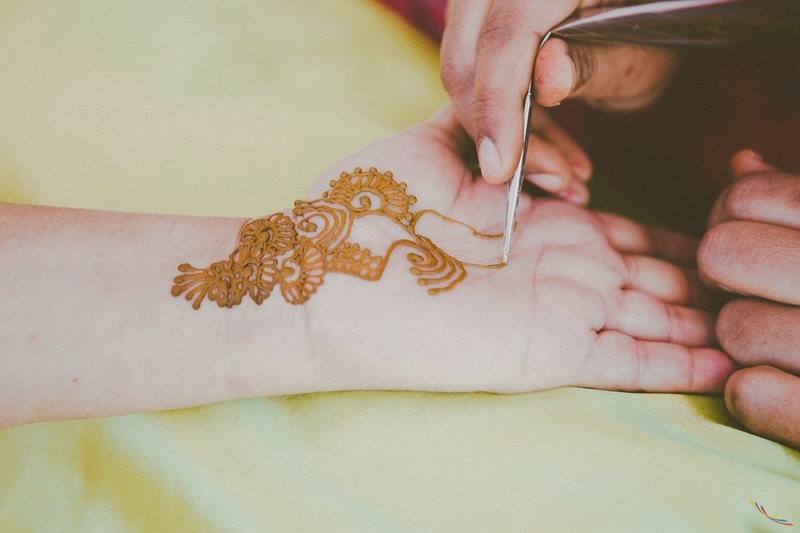 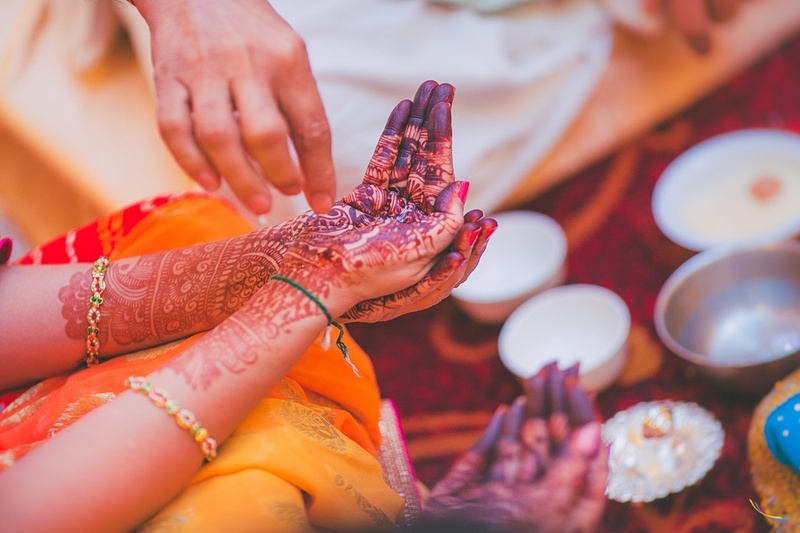 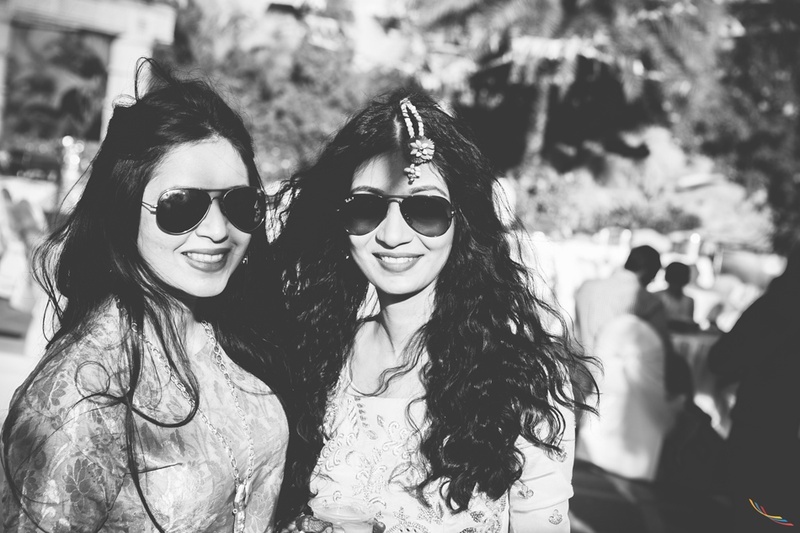 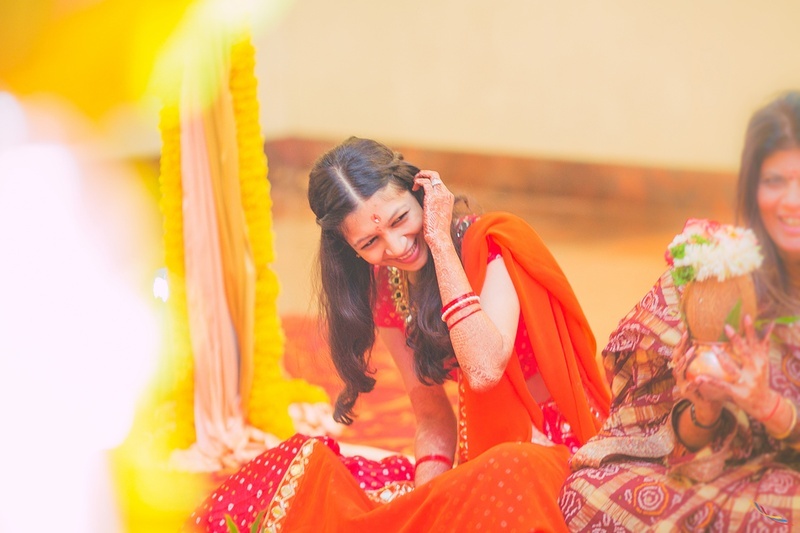 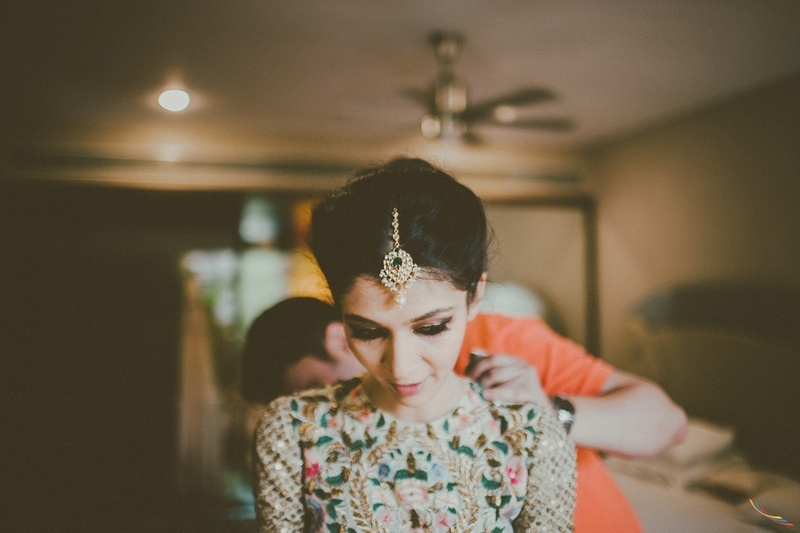 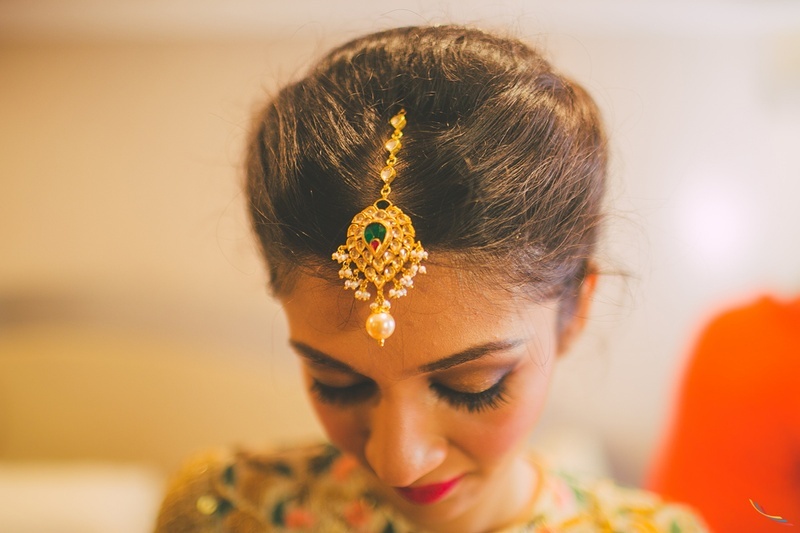 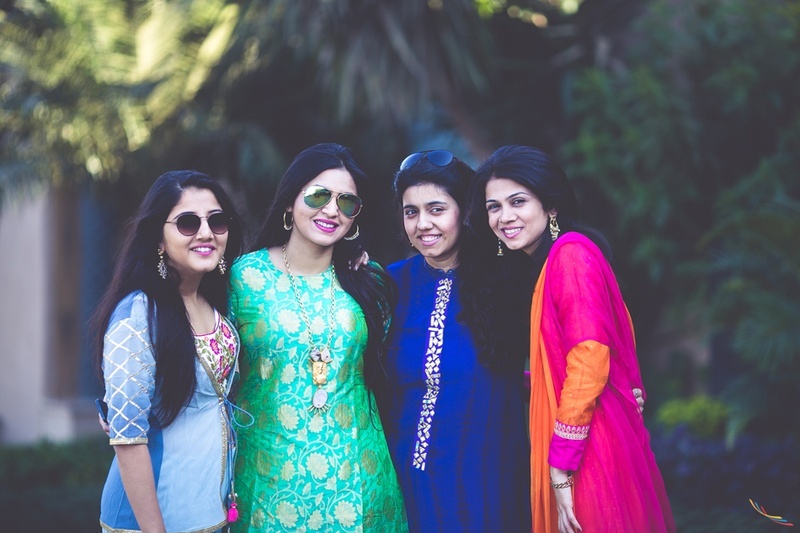 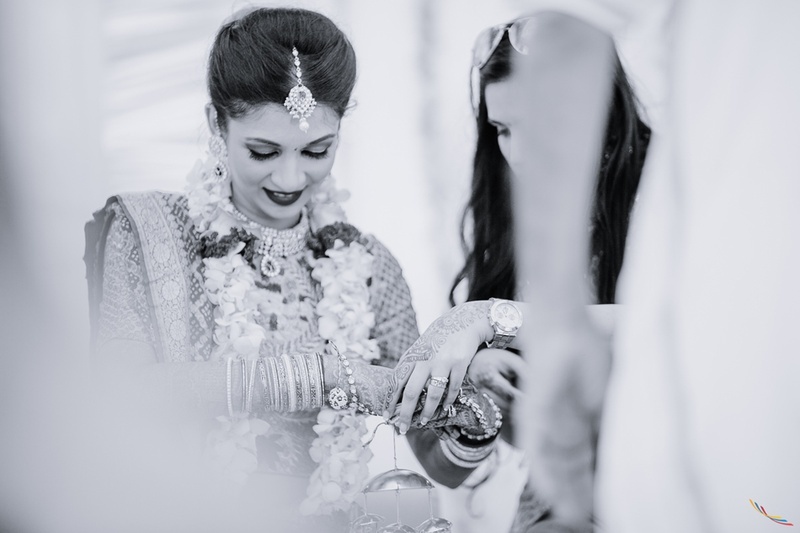 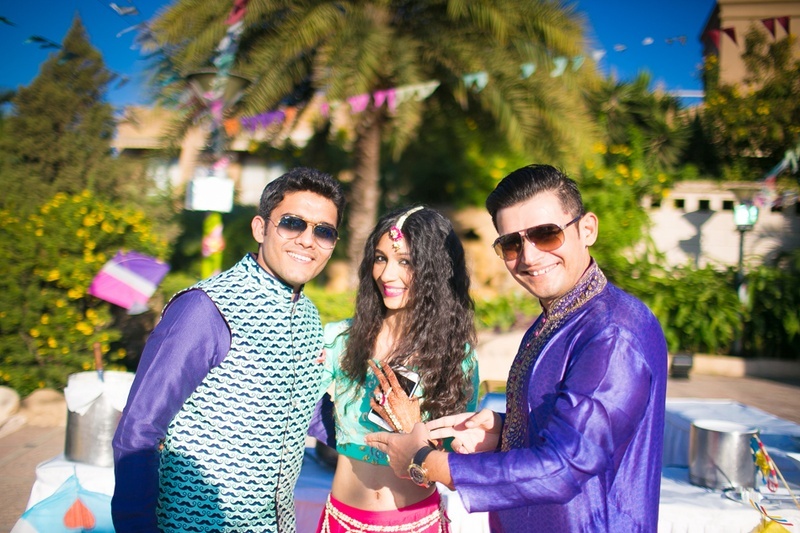 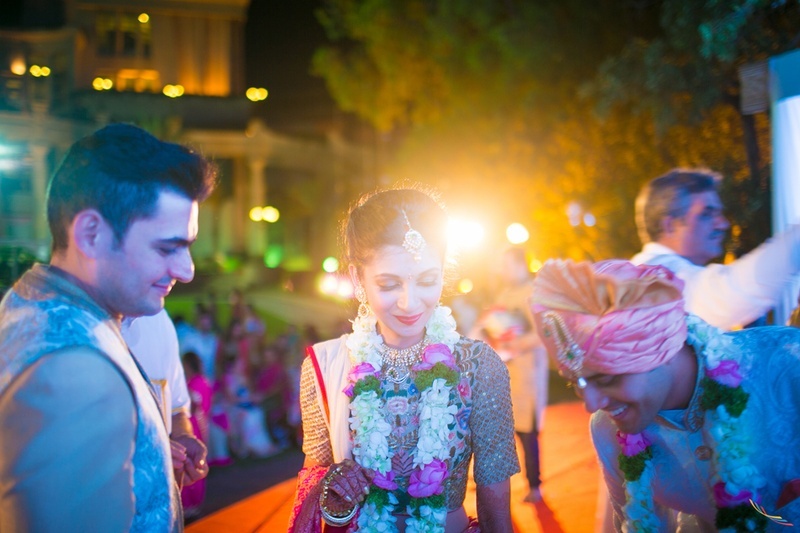 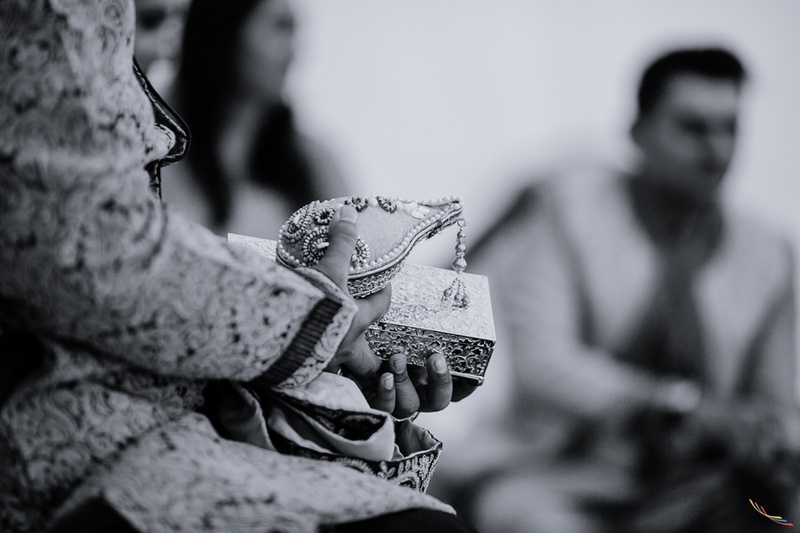 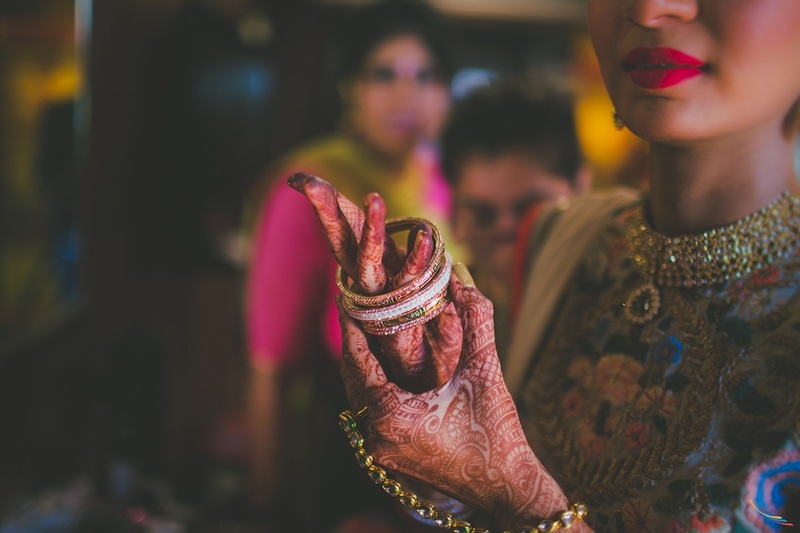 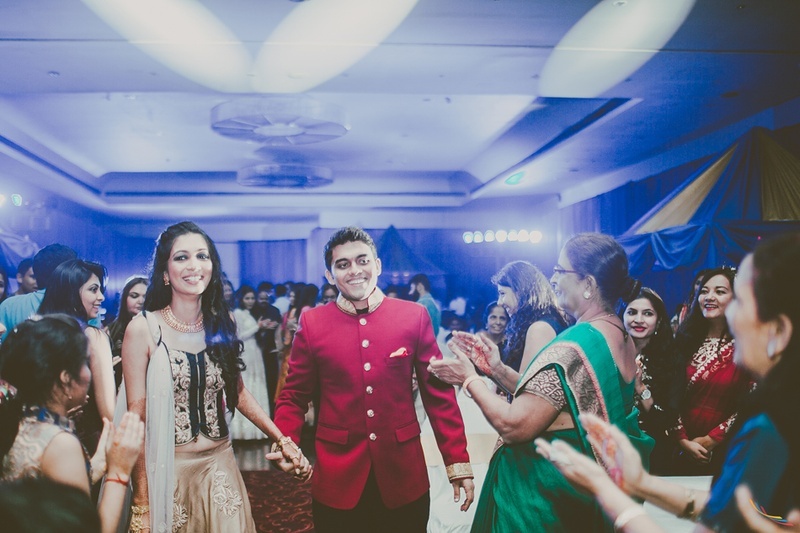 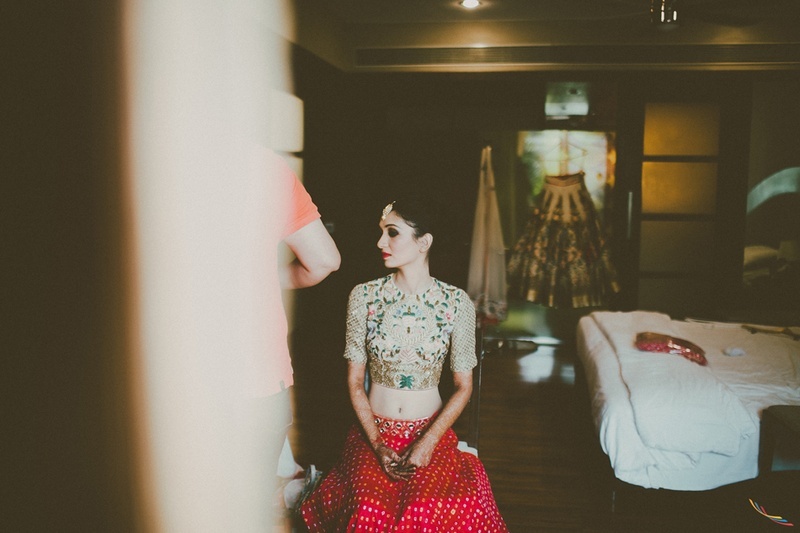 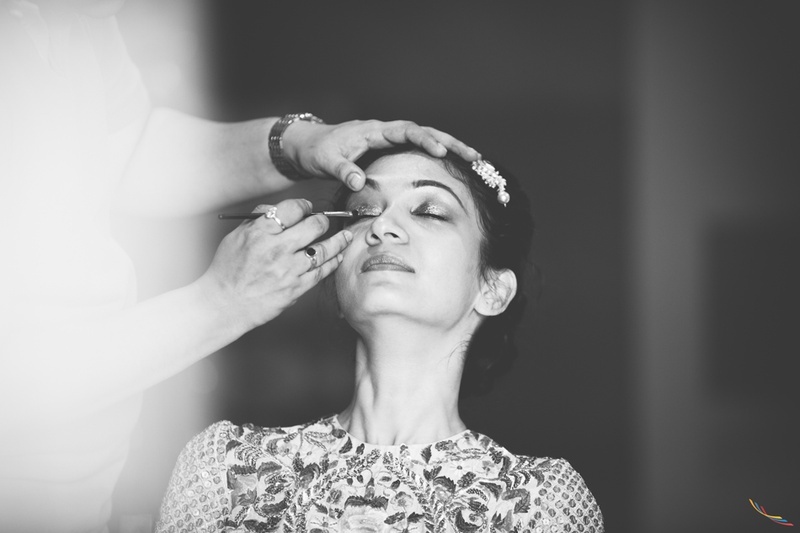 Right from the kitschy mehndi ceremony up until the wedding where this bride donned a stunning Samant Chauhan lehenga – every component of this wedding held at The Corinthians Resort and Club, Pune was done beautifully. 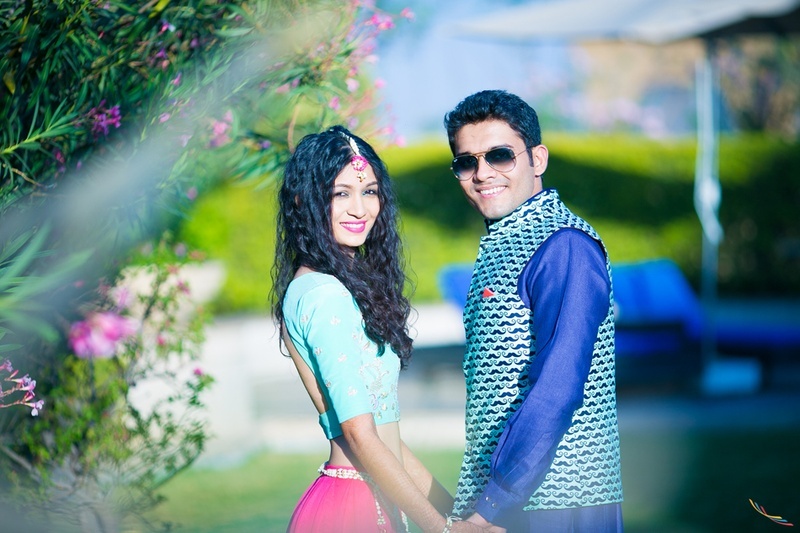 Shot brilliantly by Colorblast – Amit who captured Komal and Ronak’s wedding in all its magnificence. 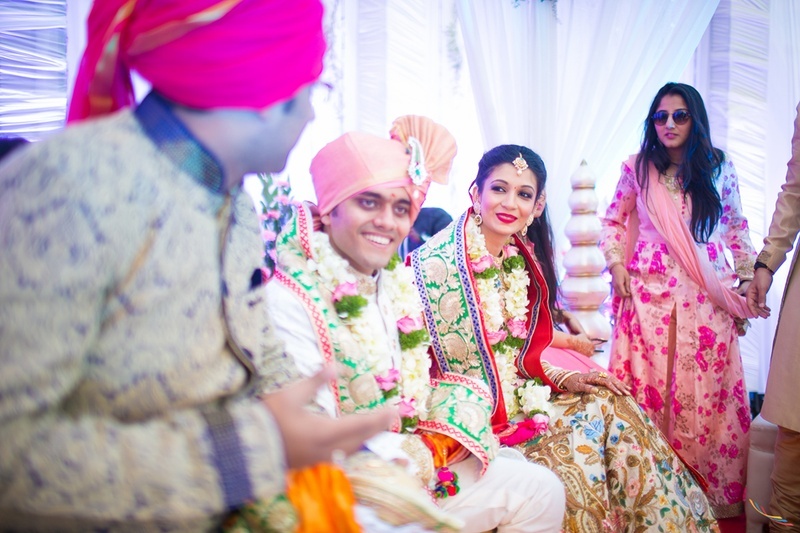 Celebrations began at the kitschy mehndi ceremony where this stunning bride and groom wore their stylish best. 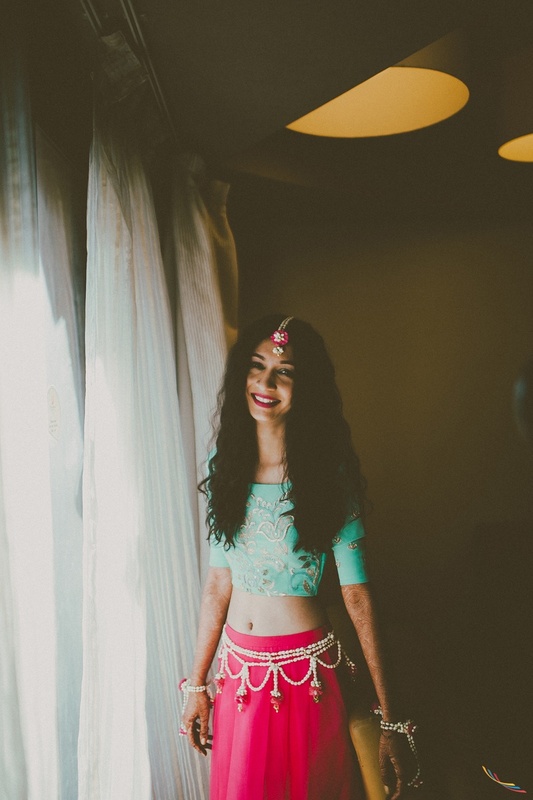 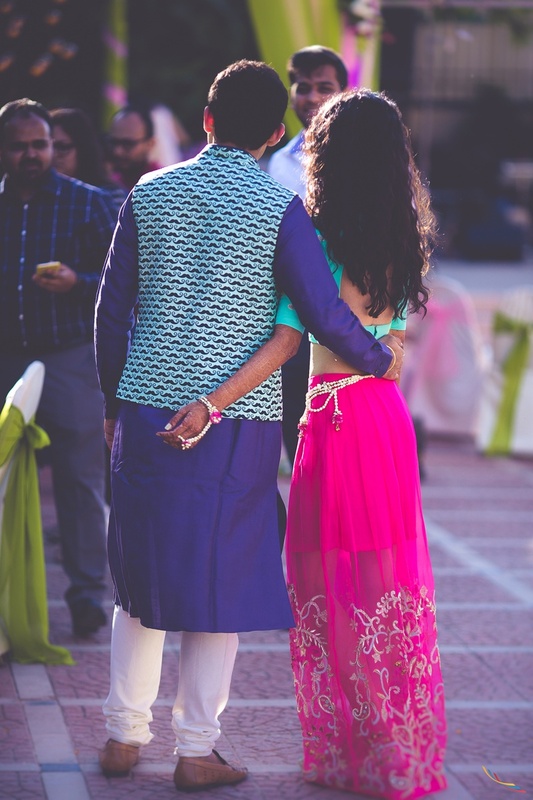 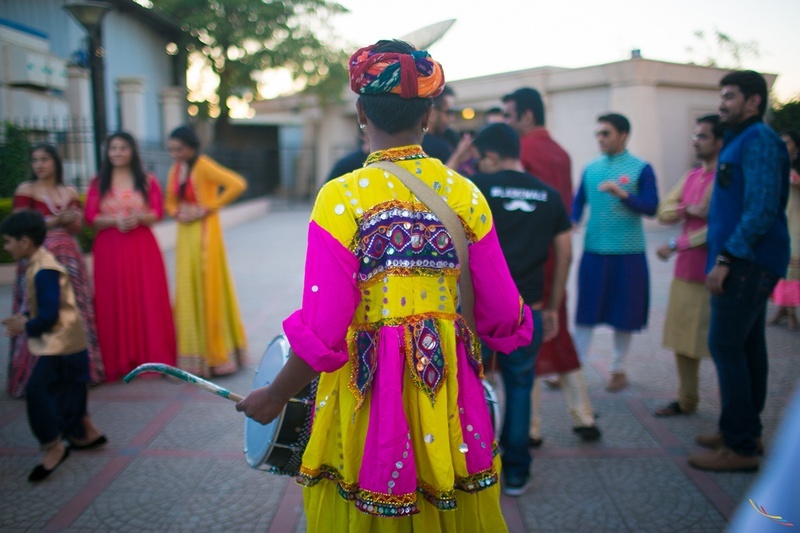 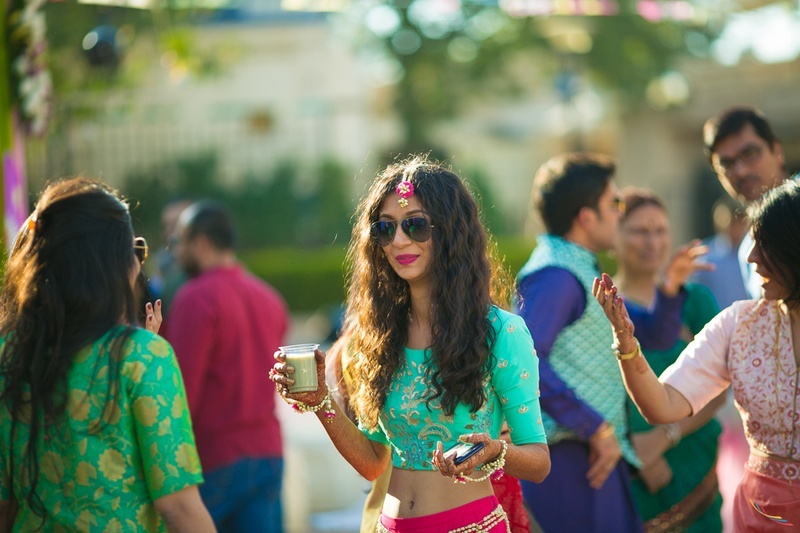 Komal wore a sheer, short-skirt styled fuchsia lehenga designed by LTD Addition, and it was gorgoeus - perfect for their outdoor spunky mehndi ceremony. 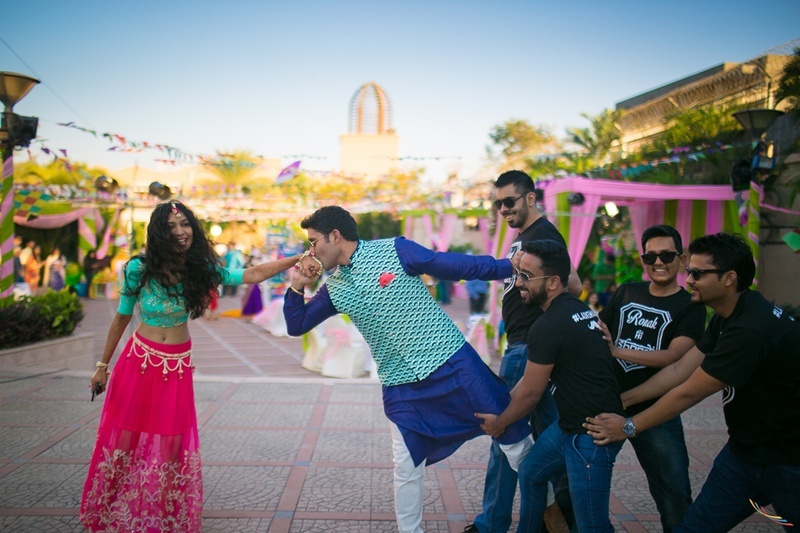 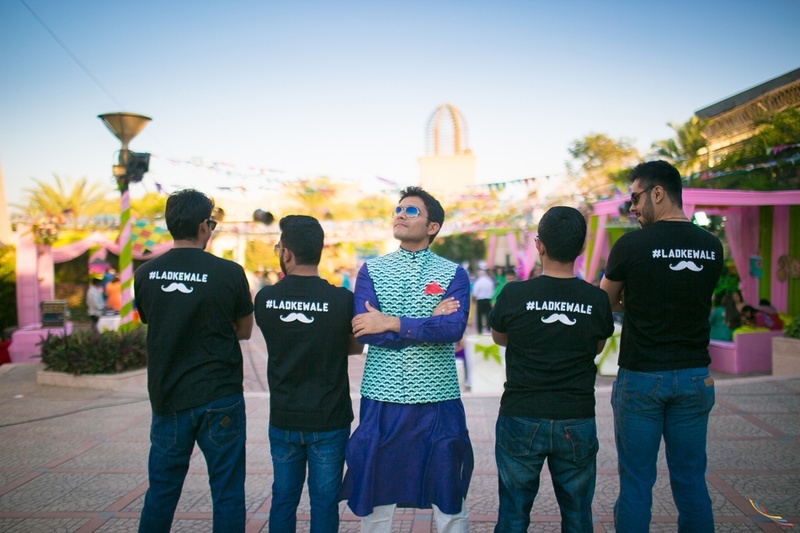 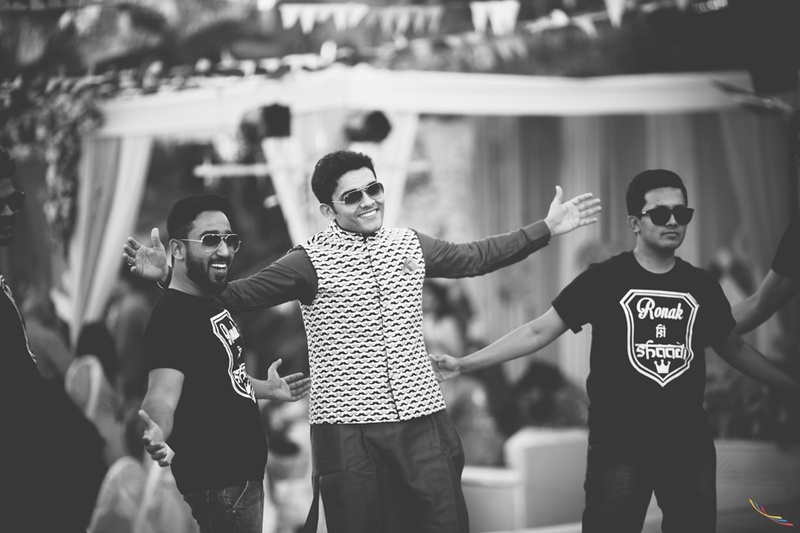 Ronak's moustache printed Nehru jacket and his gang's #Ladkewale t-shirts too added the contemporary element to this gorgeous outdoor mehndi ceremony. 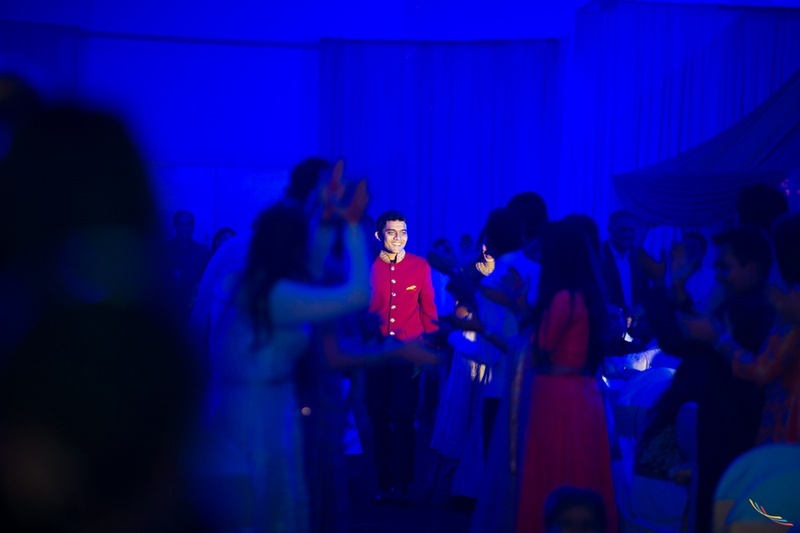 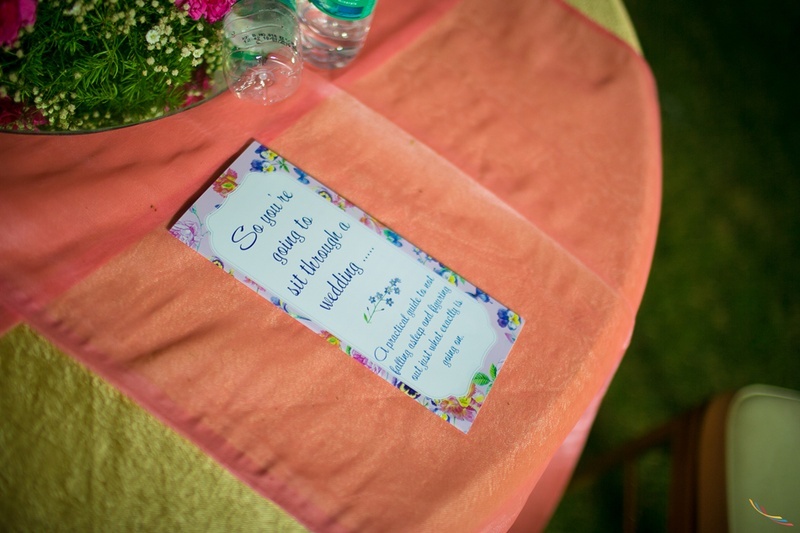 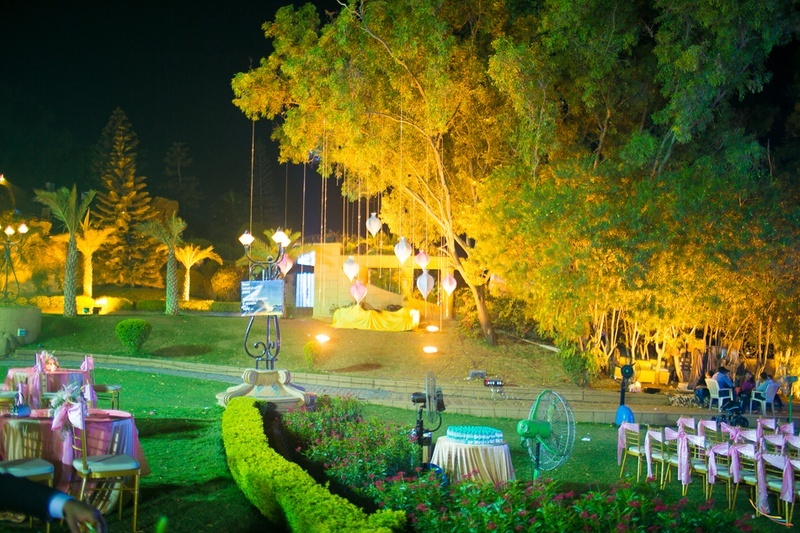 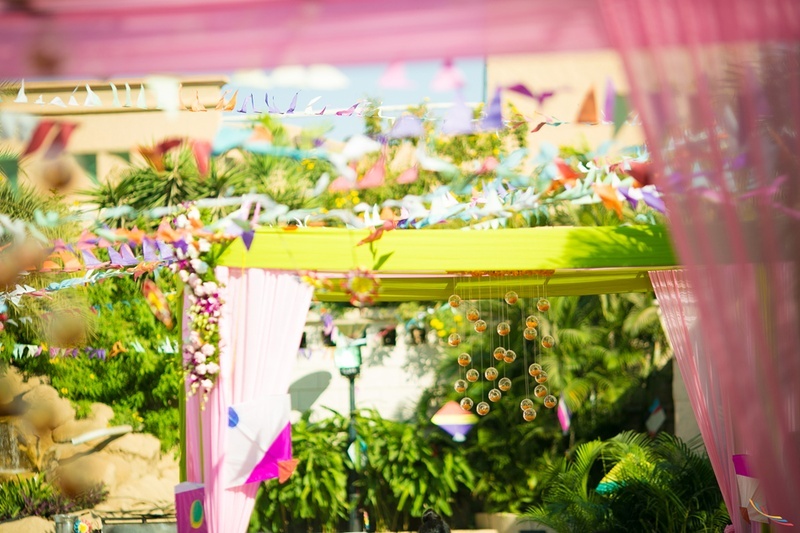 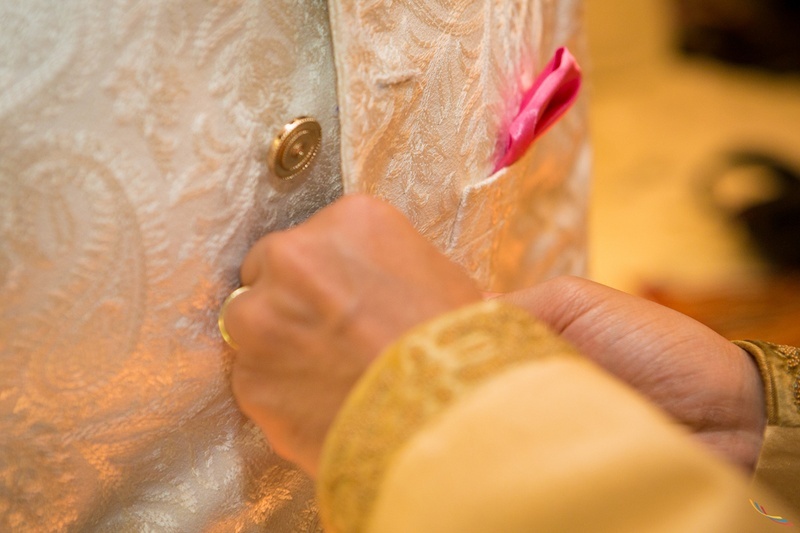 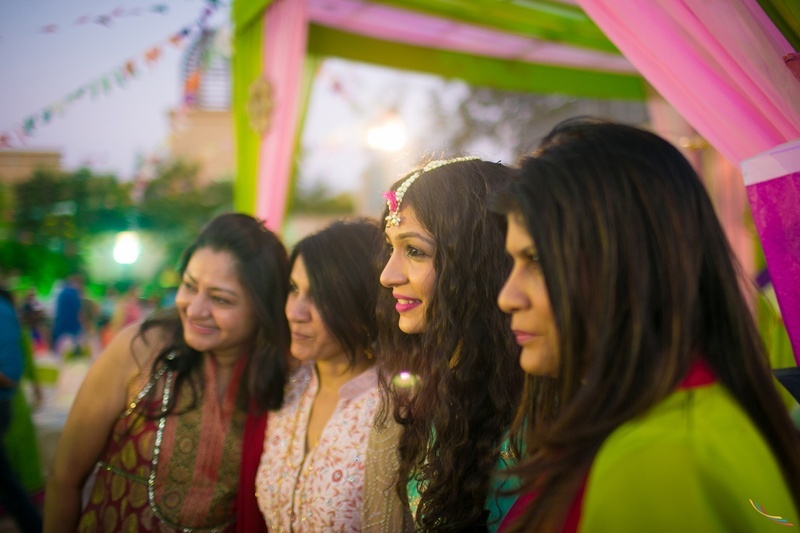 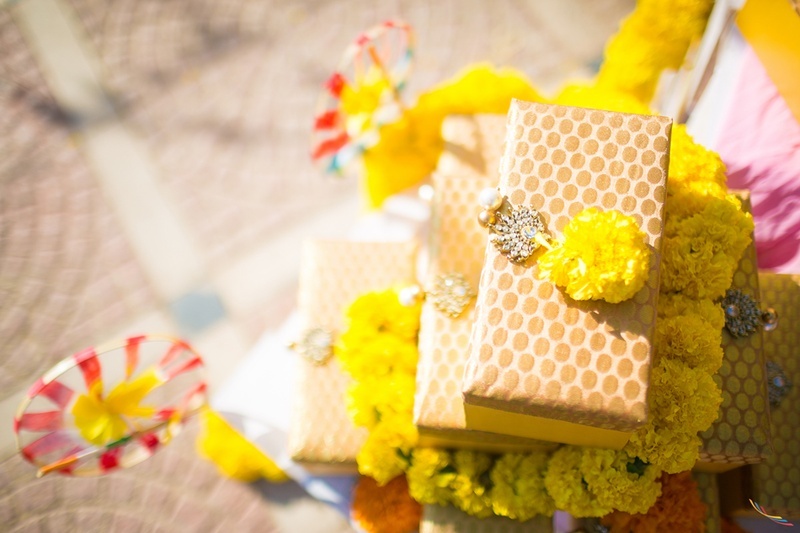 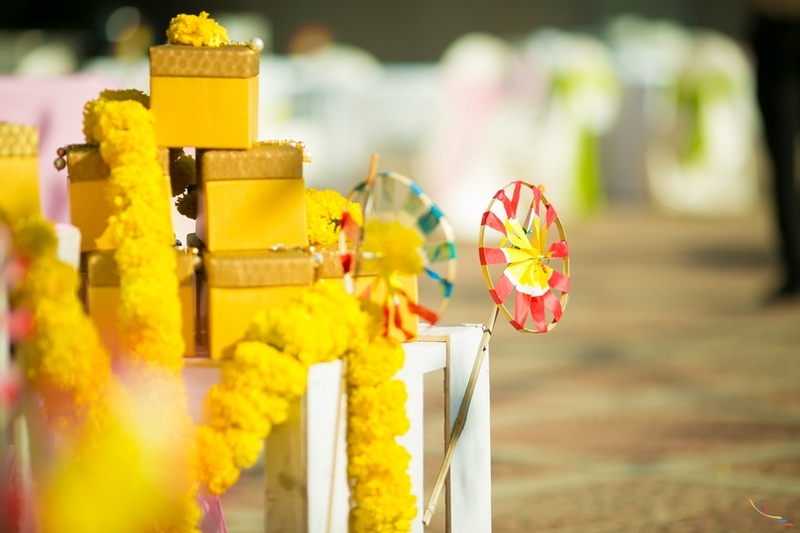 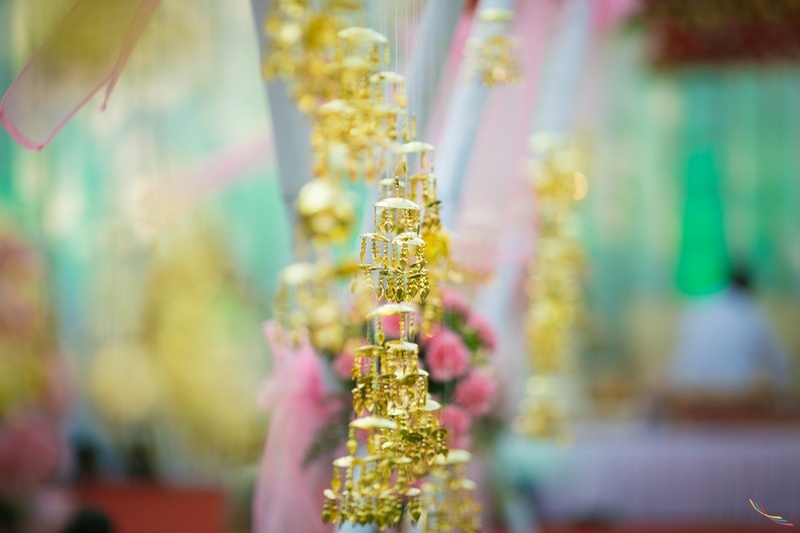 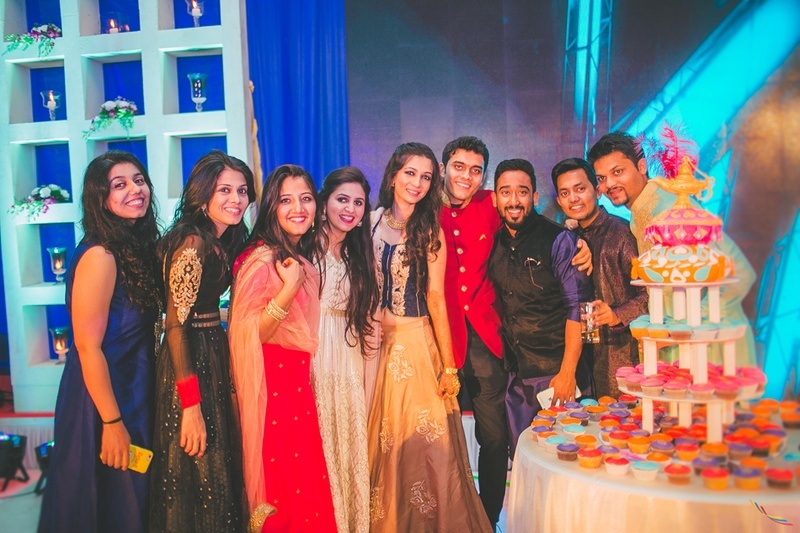 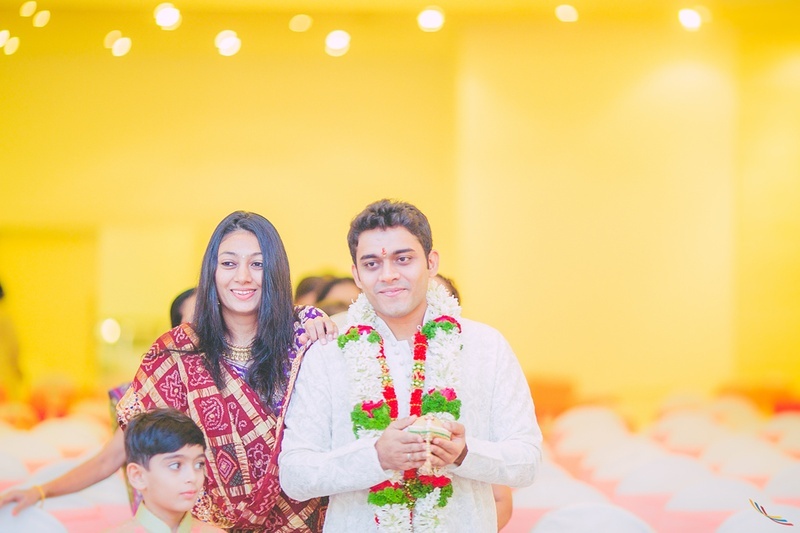 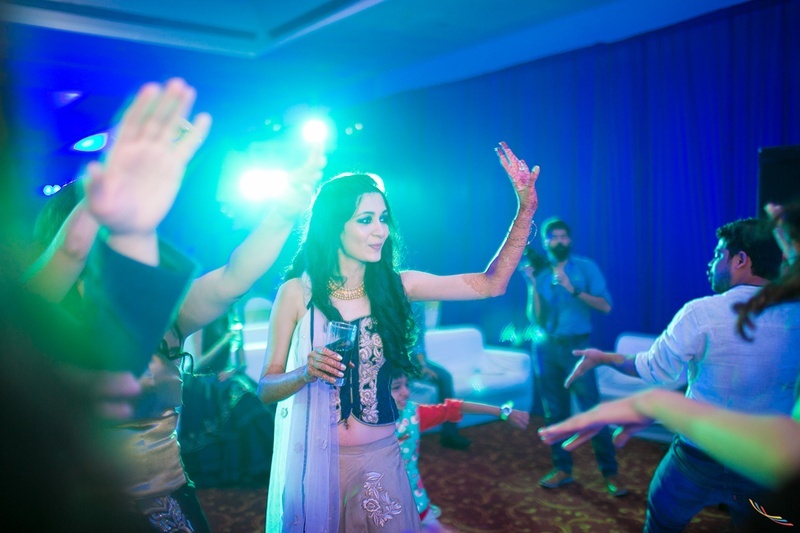 The fun-filled Sangeet followed with little decor details that we loved! 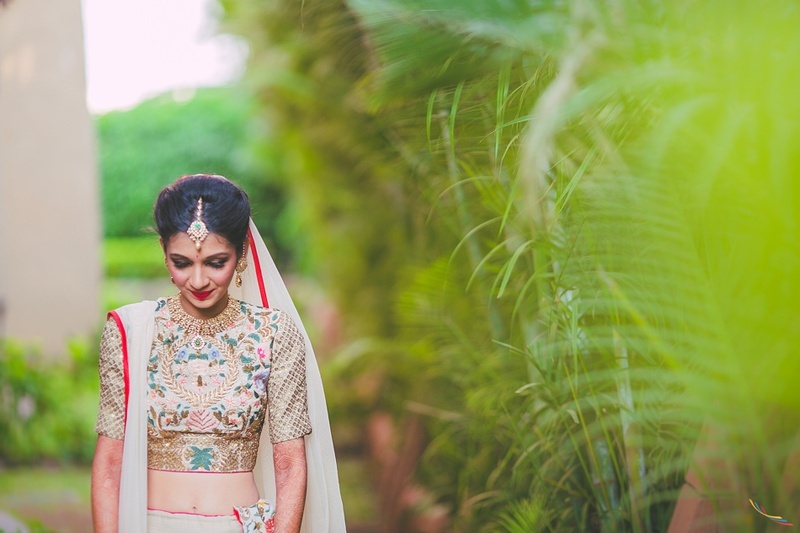 Komal and Ronak's wedding had a beautiful theme of pink and gold with classy chivaris, kalire decor and a wedding lehenga that completely took our breath away! 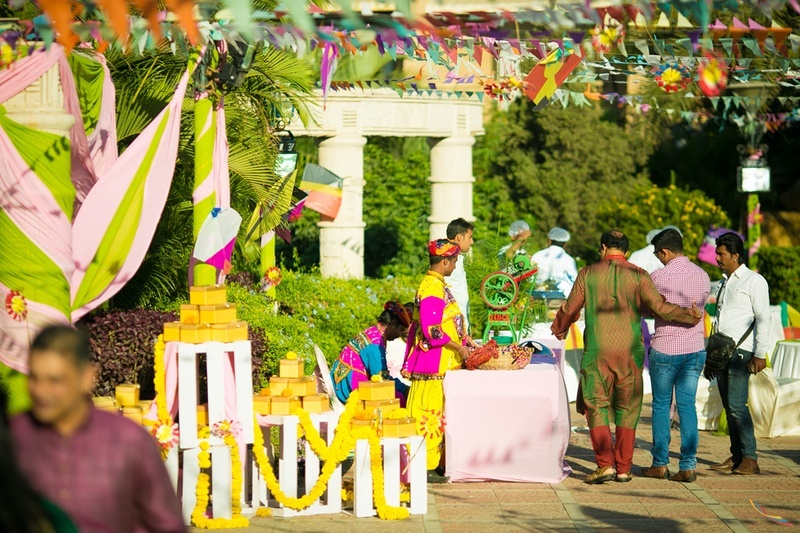 The high-light of this photo are the tempting cupcakes replace the multi-tiered cake!